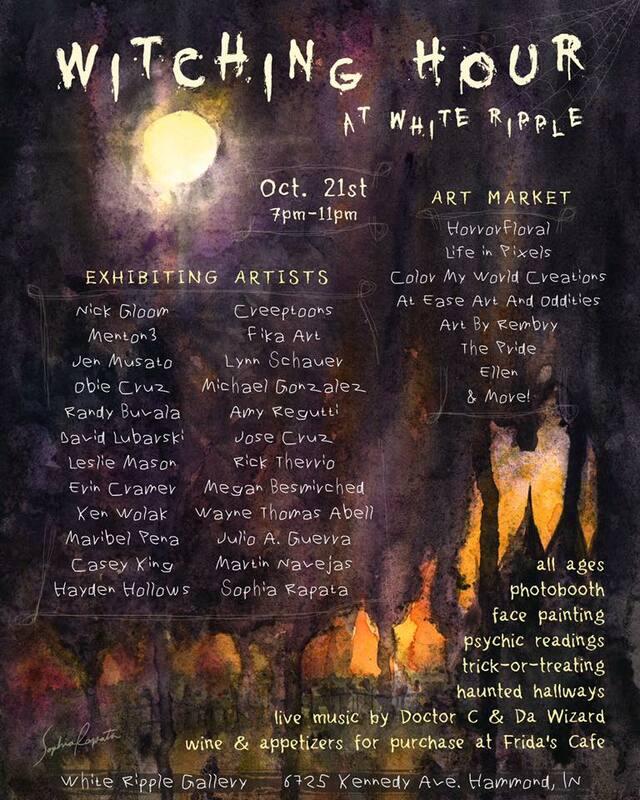 Less than three weeks from now...October 21st, come witness the fantastic and strange at White Ripple Art Gallery// Hammond, Indiana. See spooky art by others, spooky art by me, and enter into a wicked realm of all that is Halloween. Join us for The Witching Hour...won't you?